For the full year 2017, Net Interest Margin (NIM) remained strong at 4.24%, an improvement of 19 basis points from the 4.06% recorded in full year 2016. Total Gross Income reached P25.1 billion with Total Other Operating Income reaching P 7.1 billion or 28% of Gross Income. Fees and Commissions, which include card related fees - both credit and debit cards, Trust fees, and Fees on investment banking and loans were at P3.4 billion, and accounted for 14% of total Gross Income. “The Bank is on track and ready to take advantage of the opportunities expected from the favorable business environment in 2018. Our delivery channels are geared up with new branches and improved ATM systems supported by strengthened security measures in anticipation of the increased client activity in 2018. Competition, however, will continue to be strong. 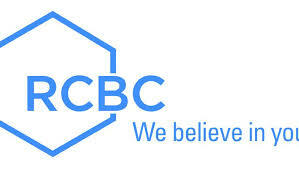 The RCBC management understands this all too well and is prepared to address this with a strong sense of urgency, as we pursue our business plans, key initiatives and key transactions this year”, said Gil A. Buenaventura, RCBC President and CEO. RCBC also sealed new Trust deals. Some of the deals are, Stock Transfer Account for Meralco and Lopez Holdings, Project Accounts Trusteeship for Red Planet Hotels and Solar Energy Corporation, and Corporate Investment Management Accounts (IMA) for De La Salle Science Foundation. The Bank received various awards in Credit Cards, among which, in 2017, Best Card Offering from Highly Commended, South East Asia, 4th Annual Card and Electronic Payments International Asia Awards and Annual Retail Banker International Trailblazer Awards; Best Card Design from 4th Annual Cards & Electronic Payments International Asia Awards 2017; Best Loyalty and Rewards Program from Mastercard Innovation Forum Awards 2017, and Best Credit Card Offering Philippinesfrom International Finance Magazine. The bank was also awarded Best Leveraged Finance-Backed M&A in Southeast Asiafrom Alpha Southeast Asia Awards 2017, Best Capital Market Deal from IFR Awards 2017, Best Mergers & Acquisition Financing Deal from Triple A - The Asset Asian Awards 2017, and Best in Private Banking from AI Global Awards.